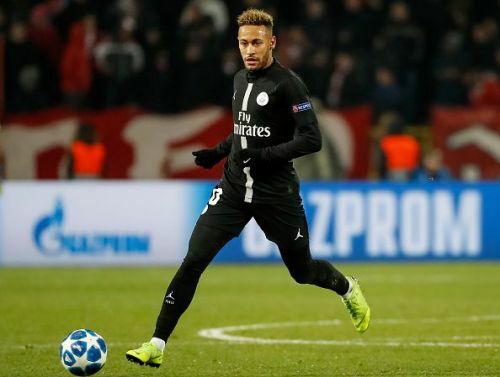 Neymar has been a constant target of transfer speculations since his move to French side, Paris Saint Germain for a record breaking transfer fee of €222 million. Last year, during the summer transfer window, there was a heavy buzz going around Real Madrid's interest in Neymar. But things cooled off before the World Cup as PSG were successful in keeping their prized possession. However, the PSG stars' Madrid rumours have resurfaced in the recent days. The Brazilian has also shared his thoughts on the rumours linking him to the Spanish Capital. "There is always speculation about me. Ever since I became a professional footballer, there has always been speculation that I would quit other clubs," he told Canal Plus. "But there is nothing concrete. When there is something certain, rest assured that then I'll talk to everyone. I'm aware of everything that surrounds my name, both the good and the bad." he further added. Neymar also denied other allegations that have been circulating around since the start of 2019. "Lately, many things have been made up such as being accused of taking drugs on New Year's Eve. I am a great athlete and a little crazy but I'm not that stupid. At the same time, I'm very happy because if you talk about me, it is because I've got a lot of quality and I'm among the best." He concluded. On the other side, Los Blancos faced a sudden downfall in the first half of the season after the departure of five-time Ballon d'Or winner, Cristiano Ronaldo and manager Zinedine Zidane. Florentino Perez felt that Marco Asensio, Gareth Bale and Isco would be able to make up the shortfall left behind by Ronaldo's departure to Juventus but injuries, poor form and disbalance in the team have led to a poor start for the current Champions of Europe. The Spanish Giants may be ready to make huge expenditure on new signings to fill the hole left by the Portuguese star. According to Marca, Hazard remains determined to sign for Los Blancos and has rejected Chelsea's renewed attempts to tie him down to a long-term contract, with his current deal expiring in 2020.